LL Bean’s flagship store in Freeport, Maine features indoor and outdoor ponds. It’s almost impossible to visit Maine without coming home with a suitcase full of new finds. Whether you visit the bustling city of Ellsworth or head for the artsy streets of Kittery, you’ll find abundant shopping opportunities. Maine is packed with retail goodness, from designer boutiques to trendy galleries and rustic antique barns. From food to custom photo gifts, to the latest outdoor gear, you’ll find something to tempt you when you visit. You’ll find both fine arts and traditional handcrafts scattered throughout the state. Whether you visit one of the state’s fine art galleries or museums, attend a weekend program at one of the art colonies or schools, or simply wander from studio to studio, you can immerse yourself in a variety of work from top Maine artists. When you think of Maine, you likely conjure up an image of one of the state’s most popular and iconic food items–the lobster. Maine seafood lures gourmet cooks and foodies to the state each year. Dining in Maine is about more than lobster, though. One of the state’s most abundant crops is the native blueberry, and you can expect to see plenty of berry themes entrees, sides and desserts when you visit the state in when the fruit is in season. Maine is home to one of America’s most popular and enduring retailers; outdoor clothing giant LL Bean will mark 100 years of service in 2012. Opened in 1912 in Freeport, this one-man company has grown to include thousands of employees and sell millions of top quality outdoor apparel and accessory pieces each year. While you can see the venerable retailer in several cities in Maine, a visit to the flagship location is a must for any outdoor enthusiast. The flagship store, located in Freeport is more than just a shopping venue; it is complete travel destination, with something to offer every member of the family. Expect to be overwhelmed by the sheer size and scope of the store; with acres of fleece, thousands of boots and hundreds of hat styles to please even the most finicky shopper. 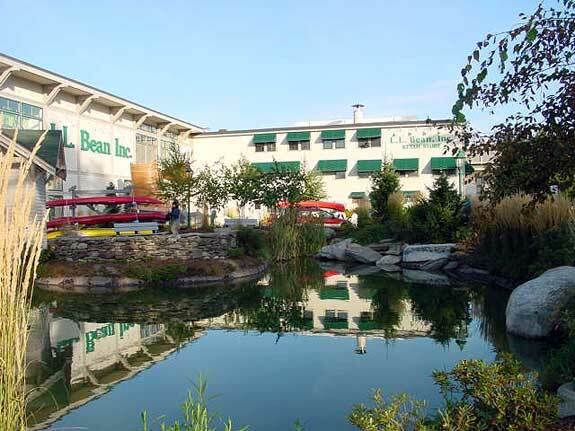 From the in-store trout pond to daily outdoor excursions, classes and demonstrations, the original LL Bean location packs plenty of activities under one roof. If you’re craving a bargain, or want to take home a piece of Maine at a steep discount, consider stopping by one of the state’s outlet centers. Prime outlet malls can be found in both Kittery and Freeport, with smaller outlets and stores scattered throughout the state. Maine outlet malls combine a mixture of traditional retailers and smaller, boutique style shops offering Maine specialty items. 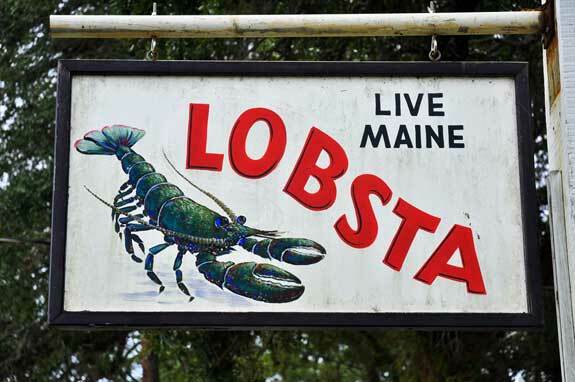 “Live Maine Lobsters” – A common sign in Vacationland!